In this week’s installment of “Millennial Monday,” Express and OSU students surveyed Millennials, the majority of whom are working full or part time, to examine this generation’s commitment to their communities. The importance of community involvement is evident across all generations. When asked if community involvement is important, 96% of Millennials responded that it is important and 97% of Non-Millennials agreed. While zero Non-Millennials answered “no” to whether or not community involvement is important, 2% of Millennials said it’s not. 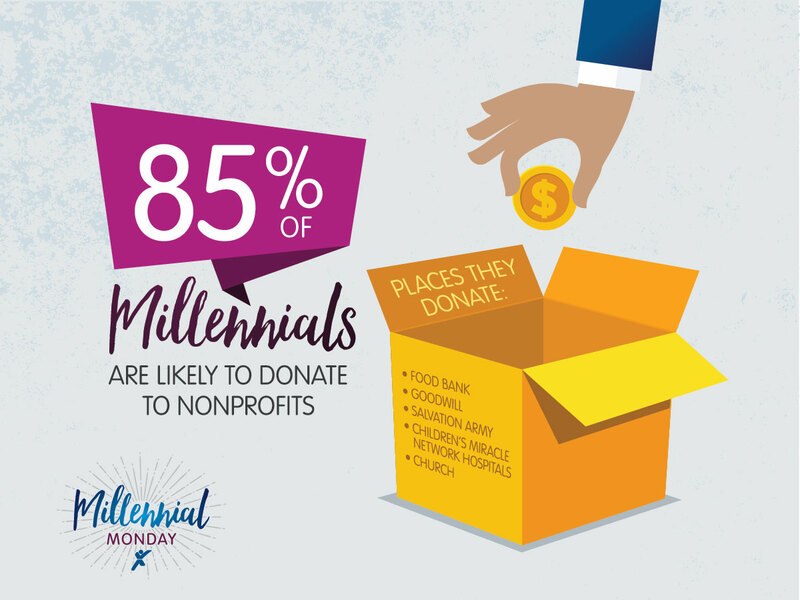 According to the survey, 85% of Millennials are likely to donate to a charity or nonprofit in the next 12 months, and 85% believe their donations are helpful. On Saturday, June 11, Express Employment Professionals offices across North America will gather together for Brand It Blue Day. The event is a day of service aimed at helping in the fight against hunger, and you can be a part of it! Whether you’re a job seeker who just graduated or someone who has been out of the workforce for an extended period of time, volunteering adds valuable experience to your resume. Not only does volunteering help set you apart from the competition, it can also provide a sense of fulfillment as you give back to your community. Visit ExpressPros.com to learn more about this event and find out how you can participate. How do you give back to your community? Do you think community involvement is important? Share your thoughts in the comments section below! Miss a week of our Millennial Monday series? Click the links below to check out previous topics in our series.